The ebauche helps me to work out the form a little bit better. I also paint relatively thinly so I like what my paintings look like when I have done two or more passes. 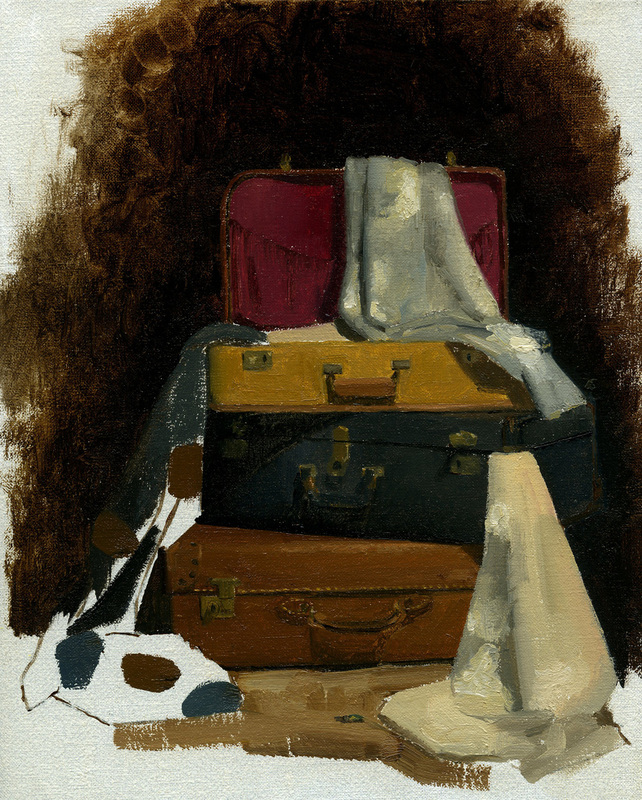 After I completed the ebauche, I basically started wherever I was interested (in this case the brown leather suitcase), and went steadily along completing the second pass. 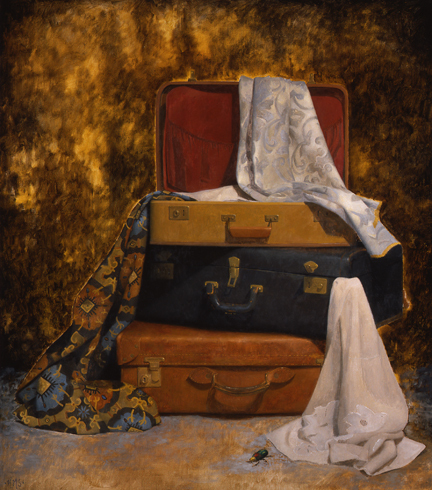 In no place did I find the work tedious because there was such a variety of things I was painting: silk lining, leather, jacquard, the brass fittings on the luggage. I got to make up my dung beetle (I married a dung beetle body with rainbow scarab colors because I didn't want the Ungeziefer to look unlovable). 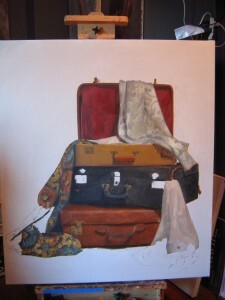 Thanks to Lexie Pitney for providing the beautiful vintage suitcases as well as some of the fabric!